Congratulations to our wonderful Board member, Jane Rosengrave. Jane has just been announced as a finalist in the Australian Human Rights Awards 2016. Please see information pasted below from the Human Rights website. Congratulations to all finalists. An outstanding group of people. Five inspiring Australians have been named finalists for the 2016 Tony Fitzgerald Memorial Community Individual Award. “We received 42 nominations from outstanding Australians, dedicated to human rights at the community level,” said Commission President, Professor Gillian Triggs. “All of these finalists are inspiring Australians who live and breathe human rights and work tirelessly to remind us how much one person can do to change the lives of others,” she said. Susan Barton is a revolutionary leader in the field of youth homelessness. As the founder and director of the Lighthouse Foundation for Homeless Youth, Susan and her team have developed a unique support model that allows complete rehabilitation into society for disadvantaged young people. Yassmen Yahya belongs to an ethnic minority called Mandaeanism who have been persecuted for many years, most notably during the Iraq War. Today, the largest Mandaean community is in Sydney. Yassmen established a Mandaean Women’s committee to assist and encourage larger participation of ethnic women in the community. 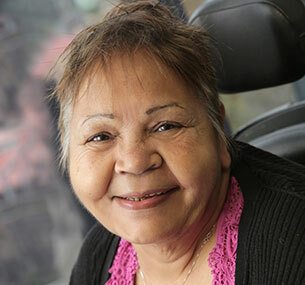 Jane Rosengrave is a proud Yorta Yorta woman with an intellectual disability. She is a passionate advocate for people with disability. Jane grew up in institutions and has experienced segregation as well as sexual and other violence, including domestic violence. She contributes to several organisations and shares her personal experiences publicly to raise awareness of the abuse and discrimination facing people with disability. Catia Malaquias is a disability advocate, lawyer, mum of three and the director of Down Syndrome Australia and the Attitude Foundation. She also founded the Starting with Julius project which aims to transform cultural attitudes towards people with disability, by promoting disability inclusion in mainstream media, advertising and education. This award is kindly sponsored by Maurice Blackburn Lawyers.